What are the Pros and Cons of Nano-Scale Brewing? Nano breweries, craft beer breweries are in demand at the local market. These small scale processes of brewing beers are a head start for entrepreneurs. Aside from that, everybody could take advantage of this process either for hobby or passion for beers or for proprietorship entrepreneurs looking for a business that can easily heat the local market. Nano breweries commended a success on the year 2000s where small scale commercial business had to get known at the local market. These small businesses have a very low risk when it comes to investing. 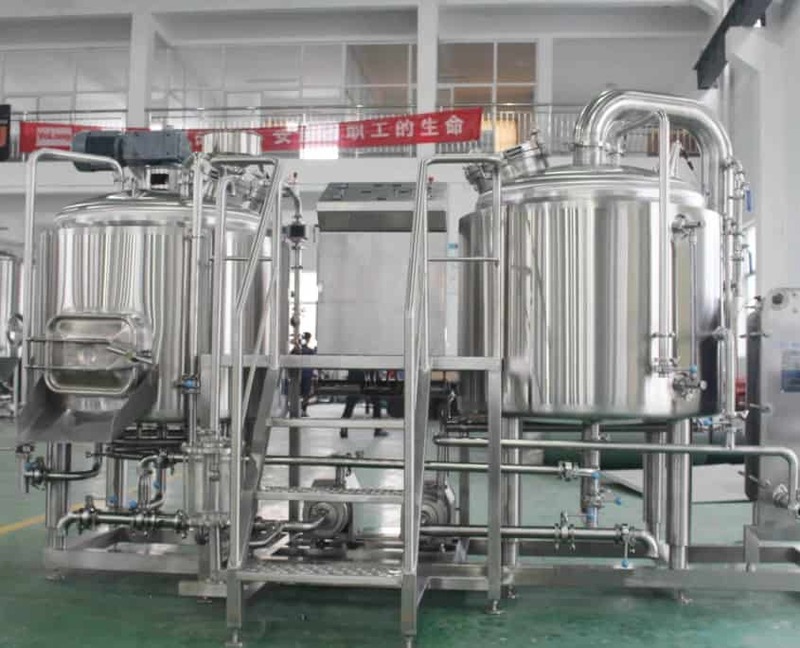 The pros of Nano-Scale brewing are that it can easily be opened or franchised on the local market, for it only needed a small amount of capital unlike other craft breweries wherein the machinery is a must have an also their necessity to obtain specific types of machineries that is needed in the business firm. For people who are planning to open this type of business, ahead starts for entrepreneurs with the same interest for the craft brewery, besides of creating a profit for your leisure interest, you are also branding your work for your innovation to the product. Also, upon opening a Nano brewery business, it can be a sole proprietorship meaning you are the boss and everything for the business which is a good contract for yourself, the upside of this is that you are solely gaining your profit for your firm. You would not need to employ a considerable amount of workers because it is manageable and can be operated by 3 to 5 persons, depending on the area of how big or small the business is. For it is a local type of business, you can try to innovate the product depending the manufacturers taste of how the beer should be. Since it is only a small business, the risk factor of losing a lot of money is low since you only invested a small amount of capital for the commerce, you can either expand it or maintain it as original as you want it to be. You can also find investors to invest in your business or have branding on your business. On the other hand, the cons or the downside of Nano-Scale brewery being a small scale business means a small profit based business. You only have a limited profit for this type of business, although you can try to innovate it. But since you only have a limited workforce, it will result in a limited product you can sell for the market. One of it is that Nanoscale brewery only creates a small distribution of beers, at least one batch at a time. That’s unlike the other types of craft brewery wherein they can make more beers than Nano brewery. Another is that for this small type of business, competitors are typical. Some already reached their breakeven point. Contrary to this, they are more likely to acquire customers for they already started the business and may have brought back their profit. Also, the labor, some choose to hire less to have fewer expenses for the salary of their workers, in contrary to that, more labor for fewer products. Since you invested a small amount for the types of machinery, it means that some of the processes for brewing the beer needs workforce such as in fermenting. Otherwise, you are planning to invest in the apparatus needed to make it easier and produce more beers. Additionally, in the overhead costs, these expenses such as the license permits, facilities, and other miscellaneous unavoidable expenditures that are needed in opening a business firm. Bottom line – Is Nano Brewing Advantageous or Not? Nano Brewing is advantageous, for startup entrepreneurs who have a leisure interest for this type of product, they will be able to do things they want and also to attain profit from it. Since it is a low-risk type of business, investors are less likely to be bankrupted or such for the loss of your starting capital is less than opening a huge scale business. Despite the cons or disadvantages of this type of business, this is needed to be taken advantage of for it is in demand, in a total year people around the globe drink beers with or without occasion and people are always thirsty to try something new for a while. The chances of creating a successful business from this one are over 80% especially if you are the first starting Nano brewing business in town. But the comeback of the profit you invest will not be brought back easily. With the right amount of hard work and patience, you will be able to triple your money in no time. You can always try to make it larger to get a more substantial profit. Is Nano Brewing For You? By further information from this article, I can say that Nano brewing may be for me. But as a person with no interest in beer, I still think of it as an excellent business opportunity. The profit is quite okay even though it is only small scaled. Once it gets known, it can be a money making a machine for an extended period. You can try to branch out this business franchise for a more substantial profit and find investors for your business. Besides, you can always boost out this type of business. https://yolongbrewtech.com/wp-content/uploads/2018/06/nano-beer-equipment-1.jpg 1421 1895 yolongbrewtech https://yolongbrewtech.com/wp-content/uploads/2018/06/logo-s.png yolongbrewtech2019-04-22 02:18:122019-04-22 02:18:12What are the Pros and Cons of Nano-Scale Brewing? If you are planning in owning your microbrewery, it takes time to analyze the practical equipment needed to create more profit than a typical buy and sell the business. Now, we live in an era where everything seems to be quite techy or advanced than the usual procedure we make. Now, in a microbrewery, these are known for small type craft brewery business or sole leisure that people use and nothing more complicated like the larger brewery companies. Microbrewery also needs equipment, the brewhouse, kegs and more. For people who are into the brewery for business purposes, one must choose the practical way to earn more for a lifelong time as long as the business is running. It will become an asset for you and your business partners. The qualities you must possess is your determination on how big you want your business to be, whether a small type of local business or a big-time business to attract investors and promote bigger profit for your firm. In customizing a brewery, you must determine the size of your desired brewhouse, also on how your equipment goes with the brewery process. Now, there are two types of micro-brewery plants, namely; the semi-automatic plant and the fully-automatic plant. The semi-automatic plant comes from the classic microbrewery process where the workforce is essential to the brewery process. On a semi-automatic microbrewery plant, it is most likely to be on a retail type of selling for it can only maintain a small number of products per batch. Upon planning your microbrewery business, you must know first to whom you will be distributing your product or your direct outlets, on a semi-automatic microbrewery that can only make limited brewed beer. They are only for a sole proprietorship business that was made for a small enterprise only. On the other hand, the fully-automatic microbrewery plant uses more complex and larger equipment to brew beers per batch. This type of microbrewery plant can exceed the amount of brewed beers semi-automatic microbrewery plants can make, resulting in a much faster production that is beneficial for entrepreneurs aiming for a bigger business enterprise. Although, the downside of having such big microbrewery plant is the investor and to whom your outlets will be directly delivered to, or it may be put into waste because of the surplus of your product. On the semi-automatic brewery plant, it includes brewing installation, training and beer recipes that are used in the manual brewery. It depends on a more traditional way of the microbrewery. It is less automatic. It required more workforce in the brewery process. This type of microbrewery needed more employees or what we say workforce in the business, but less in the expenses for a more advance microbrewery machine. The semi-automated microbrewery can only make less brewed beer than the fully automated one for gains more time in the working process of doing it. This microbrewery is well known to create a handcrafted beer, the beers we have on a local city we can buy from a unique existing store, the only place we can find. In this type, you can further innovate the kind of beer you want from other beers you create for it is more on the small retail wherein you can make dissimilar type of beers. On the contrary to the semi-automatic microbrewery, it is the fully-automated microbrewery plant. This type of microbrewery is remote-controlled, a very advanced type of equipment that is used on a larger microbrewery company. It does not require workforce than the semi-automated microbrewery, because of the more complex touch to the equipment, it can double the capacity to brew beer per batch. This plant has a hybrid heating system such as electrical gas and solar power to generate the microbrewery plant. Its main purpose is to create multiplying products than the semi-automated microbrewery can create. It can carry 5 up to 10 gallons per batch on the production of the brewery. In purchasing this type of microbrewery plan, it gives the most significant comfort for the firm because of its advanced technology that makes the job easier than doing the traditional way of making beers. It is guaranteed to have the highest quality standard it can possess on the production of the brewery. The advantage of the fully-automated microbrewery is that if you will have a stellar process or recipe that you wanted every batch to taste the same, or simply, just put a significant taste to it, the fully-automated is the best choice you can pick. Having gallons of product per batch is one of the best advantages of purchasing the fully automated microbrewery and of course, the lesser workforce you need to possess for your company. In conclusion to the texts above, which one seems to be better in creating a business of microbrewery? It will always depend on the entrepreneur interest in how he wants his microbrewery business to go. The advantages of the semi-automated brewery are that you can make a variety of brewed beers that is best if you are planning to open a microbrewery business that was made to handle only a few amounts of beer, where you will open a shop not a factory of a microbrewery in your neighborhood. There is also less costly for the equipment to be needed for it only uses the traditional ones that are cheaper than the fully automated machines. You can run this business for a family type wherein you plan to have different roles in this business. In contrast, the advantage of a fully automated microbrewery is the superior production rate it can deliver per batch. You can hire fewer people for the machines are the one doing the work. It is only good if you want to make a significant stereotype kind of beer where you are building a brand for your taste of beer. Is It More Cost Efficient to Have A Microbrewery at Home? Even though the expression “microbrewery” was initially utilized in connection to the measure of distilleries, it steps by step came to mirror an elective demeanor and way to deal with fermenting adaptability, versatility, experimentation, and client administration. The term and pattern spread to the US during the 1980s and was, in the end, utilized as an assignment of distilleries that produce less than 15,000 U.S. lager barrels (1,800,000 liters; 460,000 U.S. gallons) every year. Microbreweries have received a showcasing procedure that contrasts from those of the huge, mass-advertise bottling works, offering items that content based on quality and decent variety rather than low cost and promoting. Their impact has been a lot more prominent than their piece of the pie, which adds up to just 2% in the UK, demonstrated by the presentation by vast business distilleries of new brands for the specialty brew showcase. In any case, when the system fizzled, the corporate bottling works put resources into microbreweries or, by and large, procured them inside and out. Microbreweries step by step showed up in different nations, for example, New Zealand and Australia. Specialty lager and microbreweries were referred to as the explanation behind a 15 million L (4.0 million US ladies) drop in liquor deals in New Zealand more than 2012, with New Zealanders inclining toward higher-evaluated premium lagers over less expensive brands. A home-based microbrewery is just preparing brewed beer at home. You begin with fundamental fixings – water, yeast, and some grain – and enable the yeast to devour the grain, delivering a little measure of liquor directly in the water. That is the thing that lager is, at the center. The majority of the distinctive assortments – and there are huge amounts of, all of which are a minor departure from that center formula – come down to that center component. Simply put a few grains in water, add yeast to the blend, and sit tight for some time and you’ll have some lager. Owning a microbrewery is exceptionally remarkable in the nation. Even though lager has turned into extremely famous refreshment locally, fermenting it in your carport stays as an odd idea. For some, they brew beers at home, for personal leisure interests, special occasions, and friends. But before doing your home based microbrewery, you will still need to have a license to do it so, and then you are legalizing to do it your own. Microbrewery may have bombarded the market of craft brewery or beer breweries, but some still choose to do it for a personal type of entertainment wherein some use it as their stress reliever and a past time you can do with your pals and relatives. But some also microbrewery for a less costly cause than buying brewed beer outside, other than it is less expensive, is that you can also try to do it in taste you wanted it to be. You can always try to innovate your brewed beer into something out of this world and maybe try to earn from it when you try to market it. At first, it may be pricey for you would have to purchase a specific type of equipment needed in microbreweries, such as the fermentation equipment, boiling, and mashing equipment, home brew kegerators, beer kegs, brewing tools and so on, but can be a lifetime use of it. Each specialty lager fan knows there’s a considerable amount of cost in keeping up the side interest. Is Microbrewery Costlier than Buying Outside? Specialty brew is tasty, yet it is not modest. But as much as we want to have less expense, truth be told, it frequently costs twofold or more than the standard large scale mixes. On the contrary, such cost contemplations can lead numerous to wander off in fantasy land about home blending as an approach to appreciate the flavor and creativity of good lager without managing the expenses. Homebrewing can likewise take into account an approach to express some imagination while getting a charge out of an incredible blend. Homebrewing permits for extraordinary flavor as well as the experience of revelation as new formulas are tried and new mixes found. While this can prompt increasingly noteworthy cost, it is additionally part of the fun, and when an amazing formula is made, it is extraordinary. Then again, home preparing is time serious and not so shabby as it may appear superficially. For the individuals who might rather put their time somewhere else, and who wouldn’t fret paying more, there’s nothing amiss with proceeding to buy lager from the experts. Indeed, there are a few advantages to this too. Testing can be fun, yet it can likewise prompt waste when things don’t turn out well. But the fortunate upside of microbrewing at home is the long run savings you can acquire, with the right amount of care to our equipment. It can last for a very long time. Simply long enough to last up to your grandchildren. Another tip to save more in microbreweries beer is to buy wholesale ingredients that you can use for a long period. For those who want to save more and brew only small scale micro-brewery beer, there is also a home brewery kit that you can use that can make up to 1 bottle per batch. Is Microbrewery a Good Way to Save More than Purchasing it? For a person who is beer inclined, I would say yes, it will help them to save more than to purchase craft beer daily or occasionally. The equipment may be a bit costly at first, but it will surely pay off after a few batched of homemade micro-brewed beer are served. Some people may do it as a home-based past time, but some still try to do a business out of it, especially if your brewed beer has a distinctive taste that people may want crave for it. You can put your twist on your brewed beer and also try different ways to improve your regular beer. It can also be a family thing, a bonding of brewing beers together. With these, you tend to buy fewer beers and use your leftover ingredients into making new ones. https://yolongbrewtech.com/wp-content/uploads/2018/06/Micro-Brewing-system-1.jpg 1119 2021 yolongbrewtech https://yolongbrewtech.com/wp-content/uploads/2018/06/logo-s.png yolongbrewtech2019-04-14 22:51:282019-04-14 22:51:28Is It More Cost Efficient to Have A Microbrewery at Home? Do Micro and Nano Breweries Generally Filter their Beer Before Kegging? Microbrewery, also known as a craft brewery, is a small-scale brewing process that produces a limited amount of beer not exceeding to 15,000 barrels and for at least market 75% percent of their products annually. They traditionally reproduce their product locally and are usually owned by single entrepreneurs. People have long been taking advantage of this beer production process because of good profit and returns. Even in the early years, early brewing companies enjoyed making beers and other related products because of its good profitability. It is also effortless to introduce and to sell in the market. It is also used in many establishments like restaurants, bars, and resorts. Also, beer is very in demand even during bonding with friends and casual drinking. Beer also includes health benefits to people like it; for example; it can boost bone functions, etc. Microbrewingstarted to bloom in America in the late 1970sand it’s said to have a successful start in the era of the microbrewery. In the other hand Nano brewery from the word itself “Nano” produces some beer products smaller than micro-brewery, although there have not been some barrels defined yet to classify breweries as Nano breweries usually some owners or companies produce 500 barrels annually. Nano breweries are smaller than micro-breweries. Nano brewery, although smaller, has the same process of brewing beers, and one of them is kegging. Before beer kegging, beer filtration is the first thing to do before the kegging. In beer filtration has four filtration procedures; these include primary filtration, trap filtration, excellent filtration and lastly membrane filtration. In planning to open a brewery business, filtration needed to be more involved to get the job done correctly. One of the functions of filtration is to remove solid waste and bulk yeast to the removal of bacteria that could spoil their product. Filtration in each stage stands avital purpose for every drop of beer. 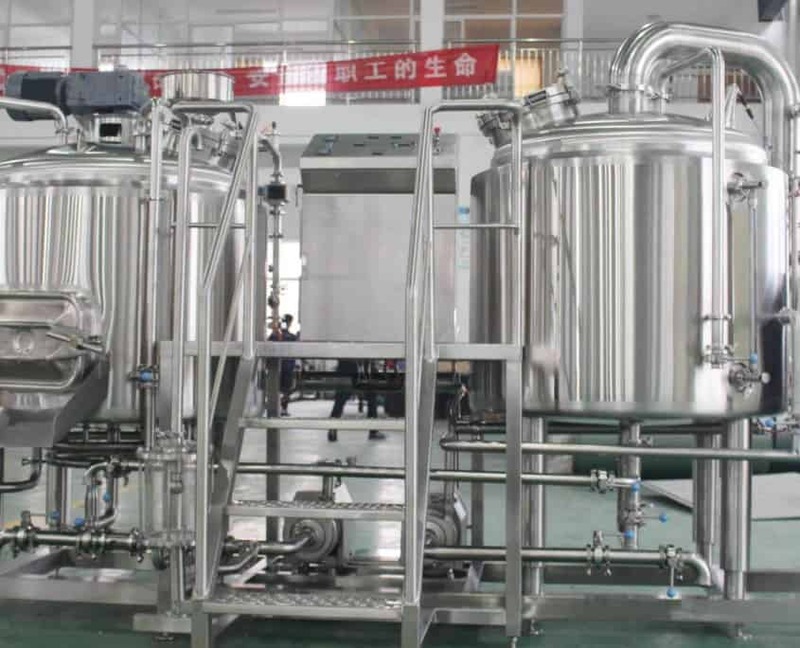 Brewery companies like micro and Nano breweries use this procedure to maintain the richness of flavor of their products and also to have a clean and sterilized product. In the case of local breweries, the entire beer clarification process is accomplished with the use of a sheet or Nano filters to achieve long term beer stability. Since the beer is mechanically filtered by flowing the beer through layers of filter material; Rough filtration leaves some cloudiness in the beer; it’s the white foam that comes out every time we pour a bottle of beer into our glasses, it is noticeably brighter than unfiltered beer. Clean filtration produces a beer which is nearly transparent and not cloudy, although observation of the dash of light through the beer will reveal the presence of some small particles. 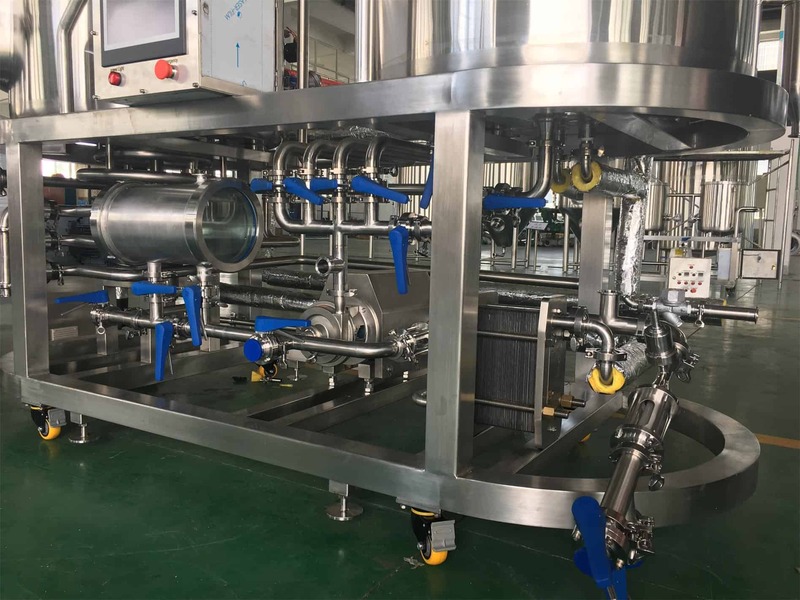 Therefore, filtration is played an important role in beer brewing; it maintains the cleanliness of the beer and equalizes the formula needed by the beer. When the filtration of the beer is perfected, we now proceed to a keg. Kegging helps all the brewers to maintain the freshness of their beers by distributing the carbon dioxide from the beer, so the longer the beer inside the keg the freshness it will get. All brewing companies or small-scale brewers use this method to avoid spoilage of their product and to avoid losing money. This process is more prone to contamination, meaning it is essential to keep the beer kegs clean from bacteria that may be present during the process. The improper kegging may lead their products to waste and can be a difficult for all the brewery. If somehow you have a problem with how your beer tastes, try to compare it to newer product and see if it is not yet spoiled. Or let it taste from a person who usually drinks beer. Unfortunately, some customers have a lack understanding about beer, so once the beer gets wasted they would not be able to recognize it. And the lack of knowledge about it may lead to food poisoning due to its contamination. I think filtering the beer before kegging. You can achieve a very, very good clarity just with a good mash, lauter, boiling, whirlpool, findings, and good fermentation. Maybe some companies do not filter their product in a way to save a lot of money. Brewery filtration is quite essential to be able to make the needed beers which in per gallons on time to follow that. Filtration is a crucial way to lessen the work required during the process of brewing beers. Moreover, most of the breweries used filtration to obtain the crystal-like beer even it cost them too much budget. Importantly to satisfy the will of their customers and to give what they genuinely deserve on their product. Crucial Reasons to Keg Your Homebrew. First is it saves time and money, instead of buying beers in the market, start brewing your own and store it on a well and spotless keg. Second, since it is stored under carbon dioxide and having no oxygen, your beer or homebrew will have a longer shelf-life compared to a beer we buy outside. It seems reasonable to assume that macro and nano breweries commonly filter their beer products to make sure that their products will gain the satisfaction of their customers and to order to have more clients or customers that will surely make their company robust and reliable. Having a reasonable product at a reasonable pricing is an excellent way to make your company even greater and be more well-known. In conclusion to that, the filtration process in both the Nano brewery and Micro-brewery needs a clean filtration before entering the kegging process, because it may end up contaminating the whole batch that may lead up to spoilage of the beers, wherein it will be a massive loss of money especially when a whole bunch was already made. https://yolongbrewtech.com/wp-content/uploads/2018/06/rake-in-the-lauter.jpg 1520 2280 yolongbrewtech https://yolongbrewtech.com/wp-content/uploads/2018/06/logo-s.png yolongbrewtech2019-04-11 02:42:182019-04-11 02:42:18Do Micro and Nano Breweries Generally Filter their Beer Before Kegging? Brewing is the creation of lager by soaking a starch source (ordinarily oat grains, the most well known of which is grain) in water and aging the subsequent sweet fluid with yeast. It might be done in a bottling works by a business brewer, or by an assortment of conventional strategies, for example, collectively by the indigenous people groups in Brazil when making cauim. Brewing has occurred since around the sixth thousand years BC, and archeological proof proposes that developing human advancements including antiquated Egypt and Mesopotamia fermented lager. Since the nineteenth century, the brewing business has been a piece of most western economies. Ventures in the preparing procedure incorporate malting, processing, crushing, lautering, bubbling, maturing, molding, sifting, and bundling. There are three primary aging strategies, warm, cool, and unconstrained. Maturation may happen in an open or shut aging vessel. Auxiliary aging may likewise happen in the barrel or jug. There are a few extra blending strategies, for example, barrel maturing, twofold dropping, and Yorkshire Square. For starters who wanted to build up a commercial brewing business, it’s going to be a big ride on the big ones. Starting on machines, commercial brewing is a large brewing company that uses massive apparatus to create loads of barrels of beers a day that can be exported in different places at a time, most likely to be found at the market. On the other hand, Microbrewery or minibrewery is normally connected to distilleries that are a lot littler than substantial scale corporate bottling works and are claimed autonomously. There are predominant accentuations portrayed when it comes to flavor and preparing a strategy on the bottling works. We offer a Microbrewery (smaller than usual bottling works) with the profitability of 1000L (10 hl) to 5000L (50hl) per mix. The administration incorporates: total arrangement of microbrewery hardware, establishment turnkey, formulas and innovation of marked brews, staff preparing and the sky is the limit from there. Microbrewery comes with a total “turnkey”. The execution of your Microbrewery (Bottling works and scaled down distillery) if fundamental, can be expanded later on. Down below are some key instances of strategies, and the things business brewers must be aware of when blending on bigger frameworks over the smaller ones. Synthetic substances: This one is night and day. Business brewers, for the most part, utilize a LOT more grounded synthetic compounds when cleaning and purifying than a microbrewery, who generally don’t generally approach a similar level of items, and all things considered. Purifying and cleaning is an essential and tedious part of business preparing. Business brewers use a CIP (clean set up) framework for a large portion of their vessel cleaning. A CIP framework, as a rule, comes as a shower ball inside the vessel, close to the roof that enables synthetics to course down the dividers of the tank peeling off a wide range of grime all the while. Synthetics, for example, burning soft drink, phosphoric and nitric corrosive do some incredible things and require higher temperatures in the 150-160 Fahrenheit range for full viability. For sterilization, we use peracetic corrosive, which is deplorable to be around at any volume when it’s not weakened. For microbrewers, they may experience the same unwanted synthetic substances that may come in the operation of processing brewed beers who for the most uses only small scale machinery. Consistency: Crafting incredible lager is a balance of craftsmanship and science; However in an industry where consistency is above all else, we need to leave our experimentation to our very own homebrew framework. One of my most loved pieces of home blending is part of a group of something into two distinct tanks and doing uncontrollably extraordinary things with them regarding yeast, dry-jump, or different added substances. Lamentably, when you’re a mixed place of our size, that kind of experimentation is generally held for firkins and barrel-maturing, which considers a great deal of opportunity, yet not as much as you have before aging even starts. Microbrewers will dependably be on small outputs of the product that can always create a thicker texture on the first product to the second one. It can likewise bargain the brew to include certain fixings at specific stages all the while, which can essentially diminish a lager’s timeframe of realistic usability if the arrangement is to place it in a plane or a six-pack. Efficiencies: Larger frameworks in business preparing are progressively productive with regards to separating what you look for from a fixing. For instance, you’ll get more IBU’s/sugars/and so on from bigger frameworks, which spares you cash as a brewer. Microbreweries would need to utilize more grain and longer squash times to reproduce the business make efficiencies for it can only hold up a small amount of product, smaller equipment that tends to be more time consuming than using a commercial brewery machine wherein the storage is quite larger. Temperatures: each vessel is set up to get either steam or glycol. Consider glycol a sort of ‘liquid catalyst.’ It’s utilized on the “cool side” of the bottling works to direct the temperature of our fermenters, monitoring the warmth created by maturation. Microbreweries can also keep pace with the same outcome of the equipment’s performance because microbrewery machines also use an apparatus to release the exact amount of heat needed for the brewed beers to be able to get the wanted result for the beers. As a result, commercial brewery equipment are more profitable than the microbrewery equipment for it has a larger storage that can hold up to 500 gallons a day, they have more complex attributes than the microbrewery equipment and more developed properties resulting to a more profitable way and a faster way to make beer. Both are a good way to earn in a business. But for a starting firm, they are more likely be able to use a microbrewery type of craft brewery for the needed equipment are less like smaller than the commercial brewery equipment, meaning it will have a lesser price than the price of the commercial brewery equipment, depending on the capital of the entrepreneur may hold. In as much a significant number of people globally find pleasure in taking beer, only a few of these consumers actually understand how it is actually made. Commercial beer brewing is a highly profitable business that has gained popularity in the US, particularly after it was first introduced to the Americans by the Europeans. There are various steps involved when brewing commercial beer inclusive of licit measures. All breweries/individuals who are interested in starting breweries are required to have a state-issued brewer’s license that substantiates them with The Bureau of Alcohol, Tobacco and Firearms. To produce high quality beer, there are some requisite ingredients and equipment that have to be met. 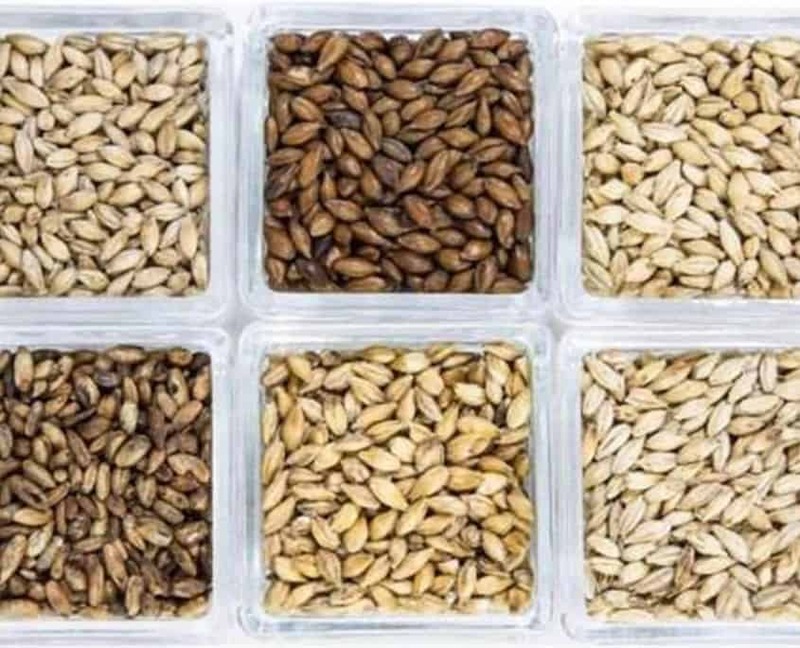 The most common grain used in beer brewing is malted barley (also referred to as barley malt) through the other malts such as rye, rice oats and corn could also be used. The minerals present in these gains favors the growth of yeast that plays a key role in the brewing process. The grain used should be one that can easily be broken down to simple sugars then fermented. Yeast is the microorganism responsible for the fermentation of beer. It disintegrates pyruvic acid to form ethanol in beer and carbon (Iv) oxidizes as a by-product. Considering that beer is 90-95 percent water, it is patent that it is vital in the system. With this knowledge in mind, a brewer should understand the type of water they use will have an impact on the quality of their brand. For production of lavish quality, well water is preferred to city water, especially if the city water is from different inconsistent sources. The degree of hardness or softness of water varies from one beer to another. Take for instance, high water hardness. It is fenced in the production of ales while soft water is employed in the production of pilsners. Water carries out various activities in the procedure for instance, it yields calcium the major mineral that promotes the clarity and flavor in the water. It also affects the pH by lowering it to a lower 5.2 from the high alkalinity that supports optimum enzyme activity. At the initial stages of boiling the unrefined beer, hops is added to this beer to give it a bitter flavor. The same practice is performed at the end of the boiling process to give the alcohol its aroma while still enhancing its flavor. Moreover, it acts as a preservative which constrains spoilage/decomposing bacteria during the beer’s shelf life while contributing to keeping the foam steady. When it comes to the equipment, they have to be maintained regularly bearing in mind that they bear drunk for human consumption. 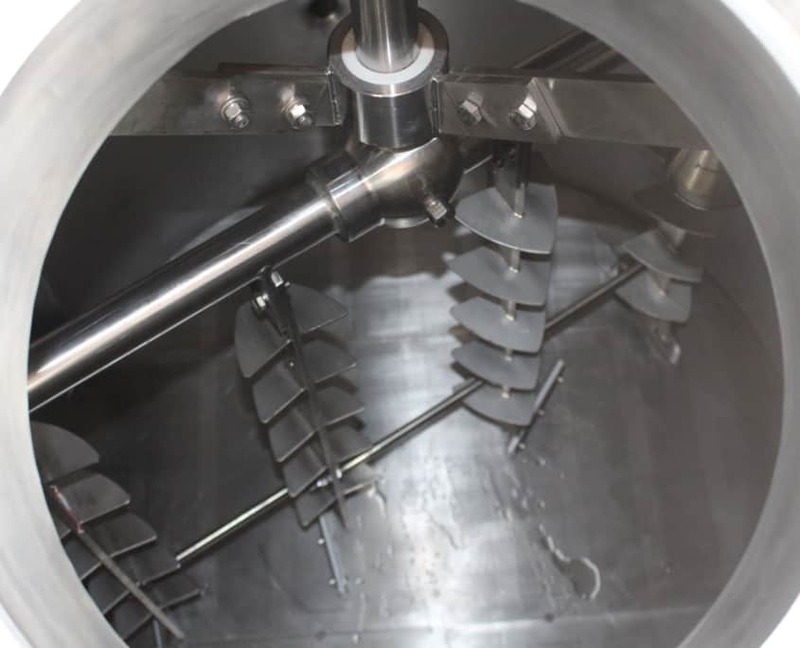 These vessels are built entirely of 304 stainless steels incorporated with full CIP (Carriage and Insurance Paid To), false bottoms, Vorlauf and hot liquor piping and heavy duty agitation that serve to mash the mash efficiency. These kettles disseminate heat evenly to supply apt sterilization and concentration for the wort (ground meat). The whirlpool vessel operates at a high velocity of approximately 15 feet per second so as to create a whirlpool that separates the wort from additives such as the hops. Provides a site for the addition of yeast that ferments the ethanol before it is matured. The fermented and already matured beer is passed down into the filtration chamber why all the unnecessary matter are extracted. Here the beer goes through the clearing process also known as the storing/aging process of beer before it is packaged and sold. The grains are steeped for thirty eight to forty six hours until they have absorbed nearly half of the weight in water. From here the mash is drained and then moved to a germination room where they are kept at a constant humidity and temperatures for about four days. This germination process activates enzymes that begin the process of crushing the proteins at the center of the kernel. Drying is cautiously conducted in the kiln retaining only about 4% moisture. It takes twenty four to thirty six hours at temperatures ranging between 122-158 degrees. Some dried grains are roasted in kilns at higher temperatures over long periods of time. The extended heating gives the malts their flavors and colors. The more the heating, the deeper the color and the bitter the malt. The wort is shifted to the boiling kettles where it is boiled before the hops are added to enhance the beer’s taste and smell. The separation occurs in the whirlpool vessel. At this point, the hops or any grain is removed to leave behind a liquid that is ready to be cooled and fermented. To kick off fermentation, yeast is poured into the vessel containing the wort as it converts the sugary wort into beer by yielding alcohol and carbon (iv) oxide that is used later still in the processing to give the beer its sparkle. The “young” alcohol has to be mature. For this reason, it is left for a couple of days for it to mature so that it attains a full development of flavors. The beer has to be filtered to remove any foreign particle or additive that might have seeped in previous stages because they could be hazardous for human consumption. The carbon (iv) oxide given off during the fermentation process serves its purpose here, giving the beer a smooth finish. The coloring process occurs in the bright beer tank where it takes a three to four week period of clearing and on completion the beer is packaged, ready to be sold. Microbrewing dates back to the 1970s in the United Kingdom, although artisanal brewing was already practiced in Europe and eventually spread to other countries. The best markets for this business are areas in which restaurants and beer retailers are growing as well as markets near colleges and universities. This is because the average microbrew customer is more educated than a typical beer consumer. College and university surroundings have Millennials who prefer new experiences to regular brews and hence would favor a developing microbrewery. Every business needs capital to fund it and this one is no different. It costs close to five hundred thousand dollars to start out. This is because renting an entire space for a whole year costs close to fifty thousand dollars. Nonetheless, one has to account for operational costs, microbrewery equipment, beginning inventory, storage equipment costs as well as the legal costs. Due to the fact that not everyone can afford these costs at once, many opt to begin with a nanobrewery, which is a small scale of microbrewery. Expertise is quite fundamental in this line of business so as to meet and surpass the needs of the clients. This sees to it that they always find a way of purchasing the product. The ultimate experience one can have is to work as an assistant brewer as it gives them the required background. People go out of their way to even earn diploma certificates in institutions such as an American Brewers Guild. Preferably, home brewing is also a good fore start. There are many steps that are required to keep any business afloat as well to ensure that it is doing well in its respective field. It is vital for every entrepreneur to have in mind a business strategy which generally steers the company. This entails the initial costs, target market and how long it will take them to get profits equivalent to the costs. Forming a legal presence ensures security to the entrepreneur. This is because they prevent them from incurring personal losses when their microbrewery is sued. Every business needs to be registered for many state and federal taxes before it is allowed to operate officially. A well followed up a business account enables the owner to easily manage the finances of the microbrewery as well ensure its stability. This way, the retailers are ensured of trustworthy deals. Investing in a business account lays a great foundation for the growth and development of any given business. This is because it helps people to keep track of their money and also comes out a strong sense of responsibility to the customers. It is of great importance to ascertain that the microbrewery is registered legally in order to obtain a permit to run it. Failure to adhere to these rules can cause the business to be shut down and in the worst case scenario can lead to the imposition of a large fine. Insurance provides the business owners a place to fall back onto in case of any accident that might occur. This protects both the owner of the business and the employees. The clientele to any business grows depending on how the business in question brands itself. More often than not, clients tend to go for the well branded products. Therefore, it is essential for any business starting out to clearly define itself to the public. This gives it an advantage over its competitors because it enables them to stand out in their own way. Given the technological advances in the world currently, a strong social media presence is very relevant. Most millionaires are favorites of the diverse platforms that social media offers. It is therefore advisable for any brewing industry to make an impact and advertise themselves on social media. The organizations should be present in as many social networking sites as possible. These include: Facebook, Twitter, and instagram. The concerned breweries should also take the initiative to reach out to the older citizens and the middle-age citizens through different channels like television, radio and newspapers. It is mandatory for all breweries to receive a Brewer’s notice from the Alcohol and Tobacco Trade and Tax Bureau. This firm only issues out the permit after verifying the packaging, labeling and impact of the brew to the surroundings. Nonetheless, the microbreweries have to obtain a permit from their respective states depending on their terms and conditions. Local licensing is also valid in the case where one decides to open a taproom. Most brewing companies have a policy of employing people as from the age of eighteen. For the purpose of safety, most companies hire people who age twenty one and over. Breweries also have to register as a food facility with the FDA and registration is renewed after every two years. Ongoing costs differ from one brewery to another, depending on region, business size, unstable markets. 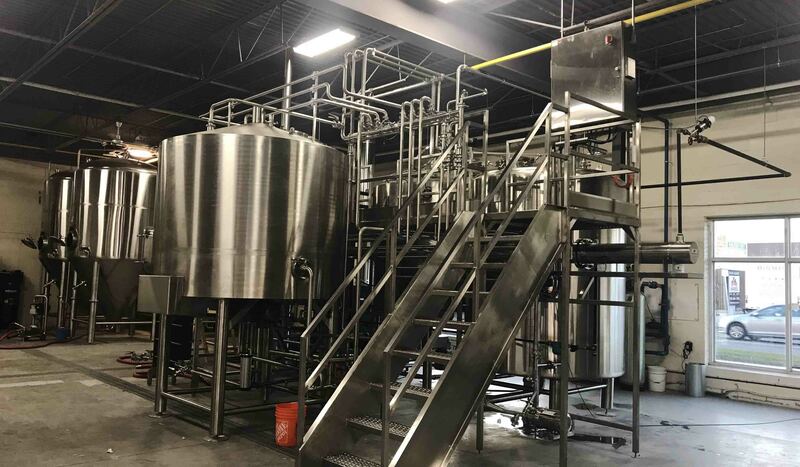 The basic expenses will be are incurred when purchasing malt, yeast and hops, paying for utilities as well as repairing and cleaning equipment. Paying the employees equally falls under this category as it is done monthly. Every entrepreneur looks forward to the moment when their business begins to realize profits. It is, however, important to acknowledge the fact that microbreweries do not realize profits immediately. This is associated with the fact that the cost of grains fluctuates throughout the year. Nevertheless, different people feel the need to invest their profits in their growing businesses. Most prolific breweries invest in distributors for their drinks. The most efficient way to increase profits in this industry is increasing the production of these drinks. This will go a long way to increase the amount of clients for the microbrewery.